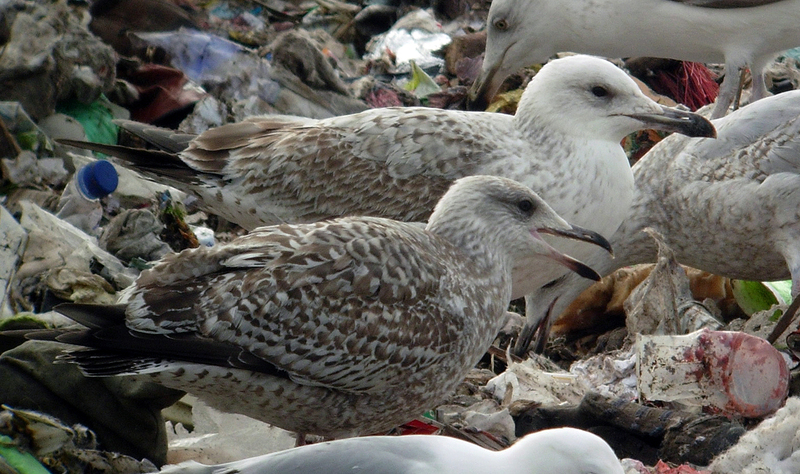 Larus cachinnans hybrid 1CY-2CY 74P1 October 2006 & March 2007, Poland & Germany. Picture: Zbigniew Kajzer & Armin Deutsch. Green ring from Poland. 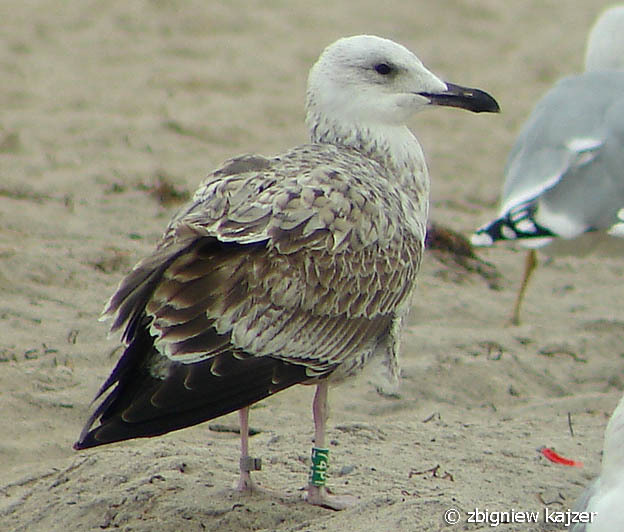 Ringed as a pullus green 74P1 & metal PLG DN-19582 on May 17 2006 in Wloclawek reservoir, central Poland (52°39'N, 19°08'E). 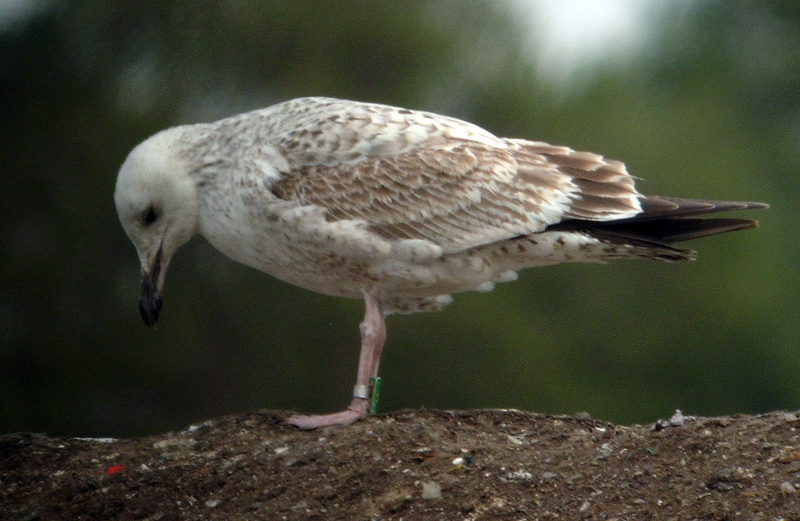 Chick followed and observed in the colony after ringing and parents assumed to be argentatus and cachinnans. below: cachinnans hybrid 2CY 74P1 March 14 2007, Deponie Pohlsche Heide - Minden, Germany (52°23'05N, 08°46'45E). Picture: Armin Deutsch. Pictures below: in the field very much cachinnans-like. 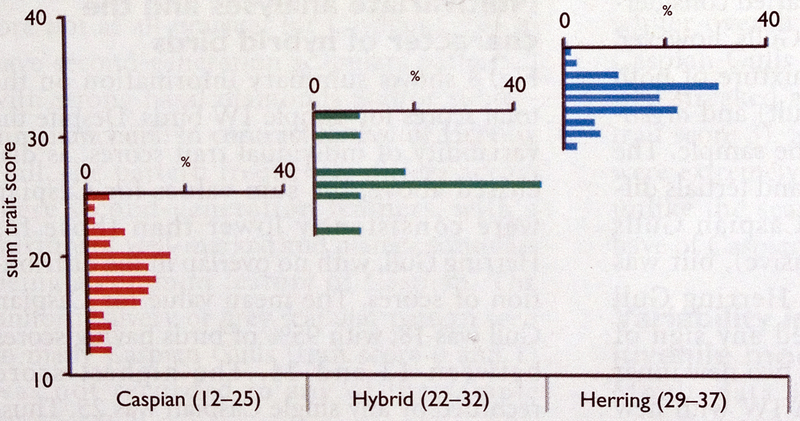 To discuss such birds, its good to first classify it on the 'hybrid scale' according Gibbins et al, see table below pictures. below: cachinnans hybrid 1CY 74P1 October 21 2006, Niechorze, zachodnipomorskie, Poland. Picture: Zbigniew Kajzer. Row of lower scapulars still juvenile. 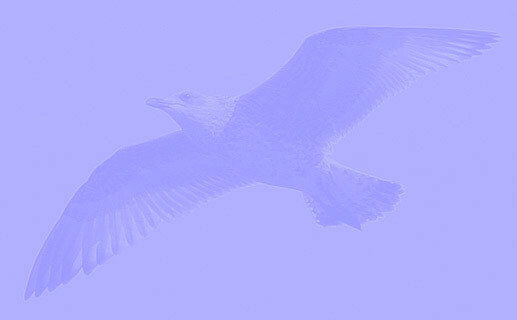 Overall score is 21, which places this bird within the limits of pure Caspian Gull, just outside the hybrid zone (see figure 8, repeated below this table). 1 Slim, slight gonydeal angle (ratio 2.4-2.79) Measured ratio = 2,63 by Mars Muusse from second picture. 1 moderately long (ratio 0.5-0.59) Measured ratio I/L = 0,59 by Mars Muusse from second picture.